I liked that the hotel is gated with extra security, I love that they are staffed 24 hours, I liked the access code for easy come and go, the staff were friendly and helpful and wonderful. I like that they have the option to have breakfast. The location was PRIME. I loved having a little kitchenette with stove tops and refrigerator, that was the best part of the stay. There is easy access to the trains, buses, metros right down the street and there is a Monoprix and a Casino shop (think grocery stores) just a few blocks away for the travelers on the cheap and some rockin restaurants right around the neighborhood as well. Staff was very friendly and helpful. The apartment was nice and the view i had over the roofs from marseille. Room 603 was great! Location perfect. Highly recommend this place. Location is close to everything that you can think of, facilities are really great. It’s a student acco that caters for travellers as well. The staff were really helpful in making us super comfortable. We got an upgrade of rooms !! Very close to public transports, main train station, local fresh produce markets, supermarkets, places to see. Old port is walking distance. Ask for the rooms 602 or 604, they have good natural lights and windows opening to the Main Street, at the same time very quiet when windows are closed. Good location, grocery store nearby working till night, although a cheap parking (12.5 per day) is 10-15 min walking from the hotel. The room was good and clean. The bed was comfortable and clean, we had our room cleaned during the day. It was quiet enough even if the hotel is located in the center, near the crowded streets. This was a big advantage of the room. The breakfast was good and the coffee delicious but i paid the same at another hotel for a smaller amount of money.The location is great, really central, close to the traim station and also to the port and seaside. Location is very good. you have not use any trasnportation vecihle. 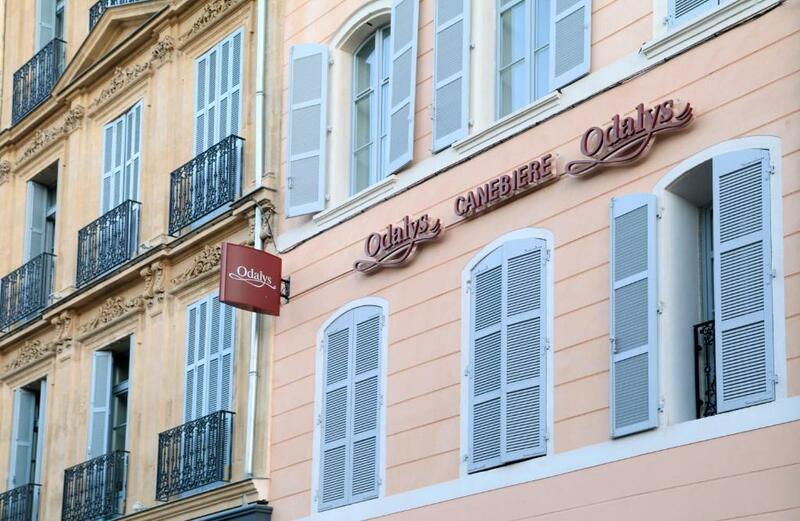 One of our top picks in Marseille.Located in the center of Marseille, Odalys City Marseille Canebière offers self-catering accommodations. 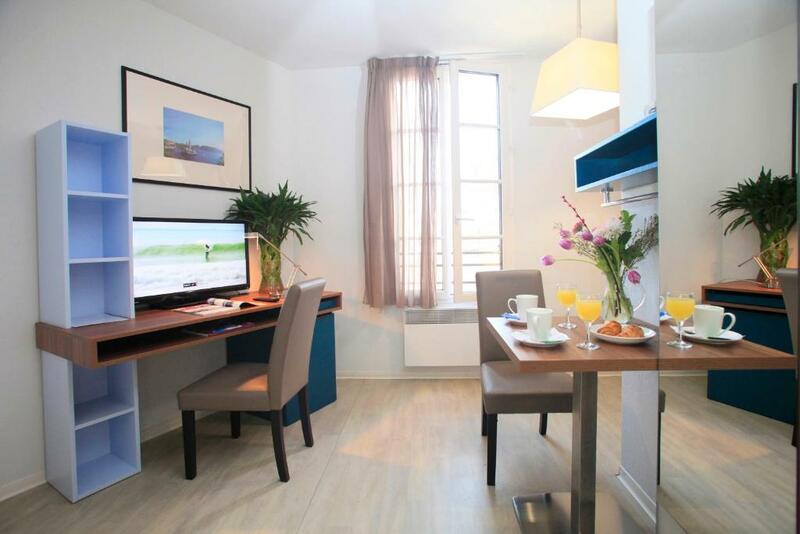 This accommodations is just 2,300 feet from Marseille Vieux Port and 2,800 feet from Saint-Charles Train Station. 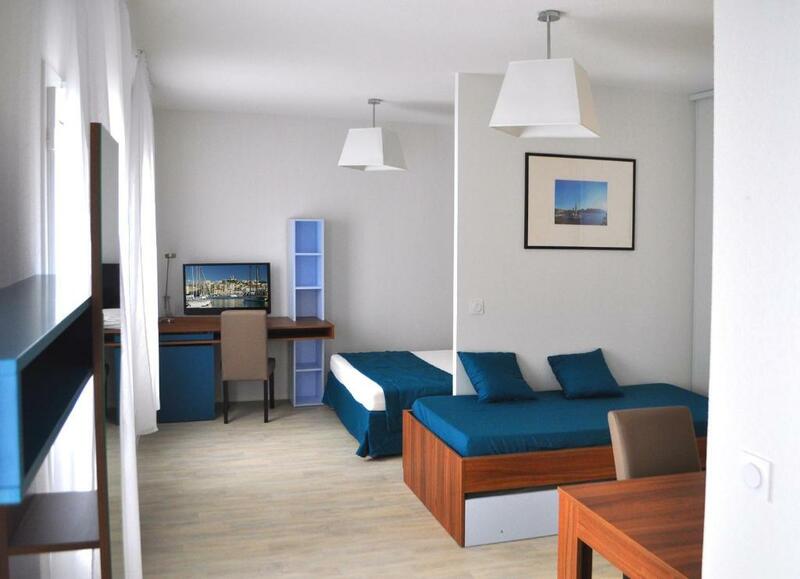 The nonsmoking, sound-proofed apartments offer a flat-screen TV and free WiFi access. The bathroom is complete with a shower, toilet and free toiletries. The fully equipped kitchenette comes with tea and coffee making facilities, a microwave and a refrigerator. Restaurants and bars can be found within walking distance. 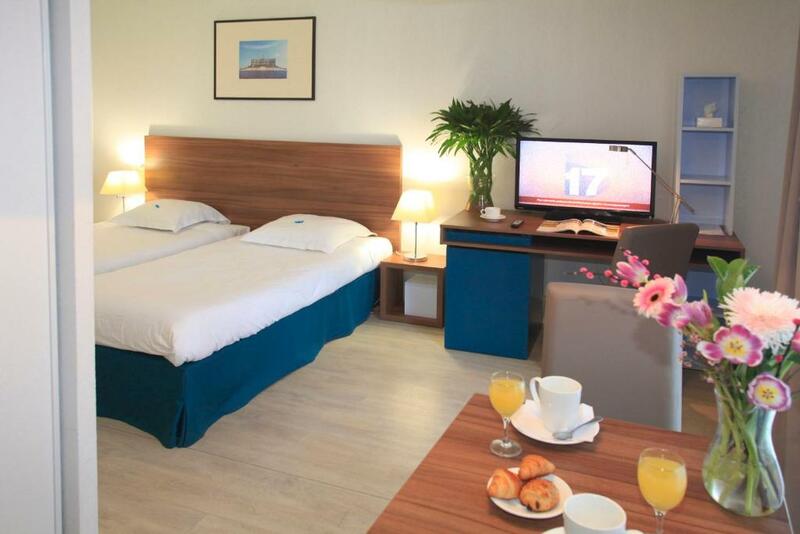 A continental breakfast is available on a morning including pastries, cereal, eggs, tea and coffee. There is a tram stop in front of the residence and this property is 150 feet from Canebière's famous street and 1.9 mi from the beach. Marseille Provence Airport is 16 mi away. Public paid parking can be found a 4-minute walk away. 뀐 This property is in the real heart of Marseille! When would you like to stay at Odalys City Marseille Canebière? 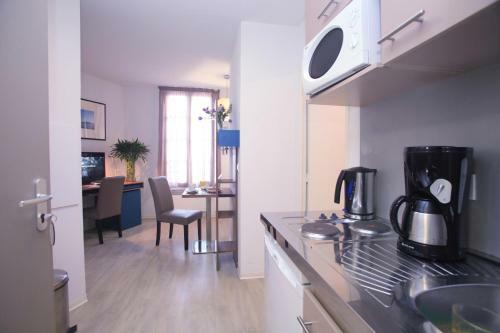 This apartment features sound-proofed rooms, a flat-screen TV and a fully equipped kitchenette. The bathroom comes with free toiletries. Public parking is available at a location nearby (reservation is not needed) and costs EUR 15.50 per day. This apartment features a soundproofing, kitchenette and dining area. Close to the metro station and both trawmay lines, you can reach any part of the city in just a few minutes. It is also 10 min away by foot from the Vieux Port, true heart of the city. There is a grocery store near the residence for everyday purchases. House Rules Odalys City Marseille Canebière takes special requests – add in the next step! A EUR70 damage deposit is required on arrival (around USD78.70). This deposit will be fully refunded at check-out, as long as there isn't any damage to the property. Odalys City Marseille Canebière accepts these cards and reserves the right to temporarily hold an amount prior to arrival. A night porter is present at the reception from 20:00 to 07:00. Guests are required to show a photo identification and credit card upon check-in. The name on the credit card and photo identification must match the name on the booking reservation. If this is not the case, the hotel reserves the right to refuse accommodations. Please note that there is no air conditioning at the property. Please inform Odalys City Marseille Canebière of your expected arrival time in advance. You can use the Special Requests box when booking, or contact the property directly using the contact details in your confirmation. A damage deposit of EUR 70 is required on arrival. That's about 78.70USD. This will be collected by credit card. You should be reimbursed on check-out. Your deposit will be refunded in full by credit card, subject to an inspection of the property. No hot water on first evening. Could not be fixed until following day. Made worse by no electric kettle! Very difficult and uncomfortable. Minimal cutlery plates, no tea towel or detergent. Complaints rectified following day. The rooms are smaller than in the pictures and somehow different, i had another impression when i saw the pics but when i arrived in the room i was quite disappointed. There was a constant background noise from the air ventilation and it was slightly annoying while trying to sleep. The time of Check-in and check-out! The shower frequently did not have hot water, the beds were quite uncomfortable, and I was surprised that I had to go get my own fresh towels and toilet paper. It's not that I minded, it was just odd. I also had a really hard time connecting to the wifi and staying connected. They didn't clean the room once, while we were staying there. 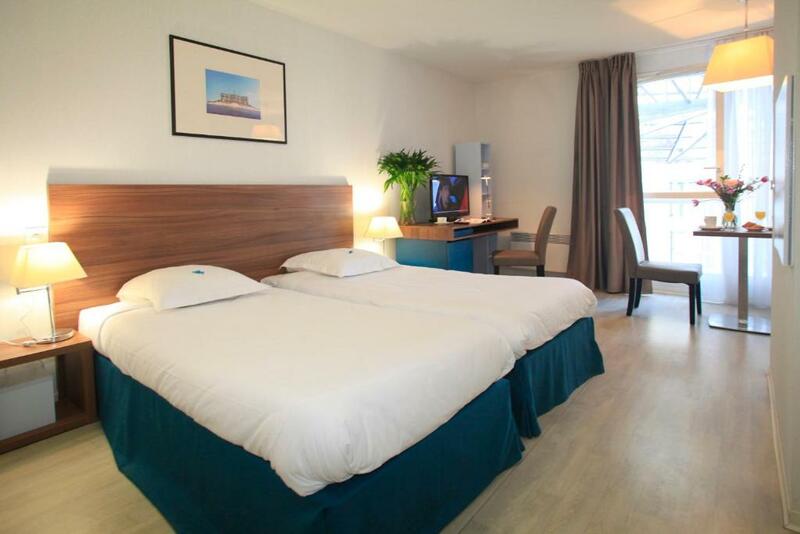 (2 days) You need to give 70 euro deposit when you check in. I had to request that room be serviced and clean towels provided after 5 nights! The watch man helped us a lot when my friend had a serious sickness. Really appreciate that. Finding it at night, even with GPS. was not possible. I called twice and was told that the number wasn't working. I only found it because there was a sign above a closed shop with an arrow on it. The street was poorly lit. The entrance was so secure I didn't think I would get in. I guessed about what I was saying to a speaker on the wall. Eventually, I was let in, after walking for an hour an a half at night in Marseille.